Delicate ornamentation meets on-trend chic. The rose gold-toned Stainless Steel link bracelet features contrasting black accents. 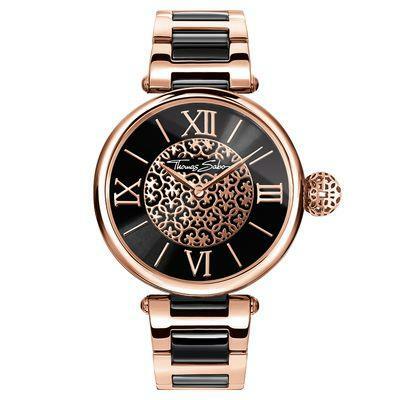 The brushed dial is decorated in a beautiful arabesque design, with a matching oversized crown.